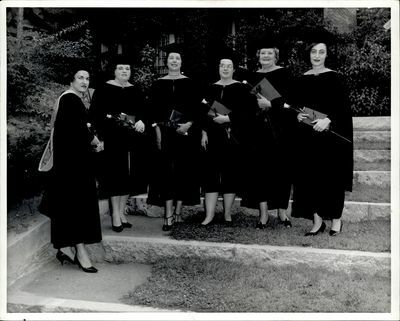 "Awardees with Flowers, Commencement ca. 1940s - 50s"
Taken during Commencement. Each of the women holds a flower and a large envelope.